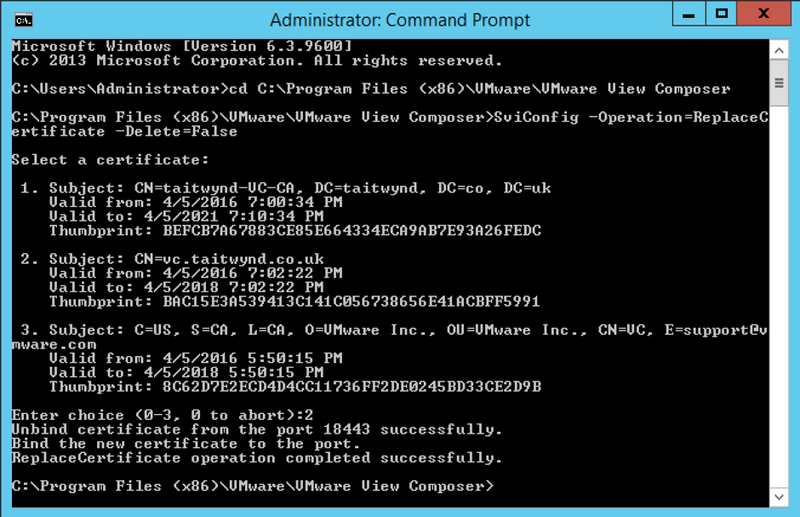 When you try to integrate your VMware View Connection Server to the View Composer Server, you receive the error “ “. The following error “A fatal alert was received from the remote endpoint. The TLS protocol defined fatal alert code 46.” Is also logged into the View Composer’s Events Logs. 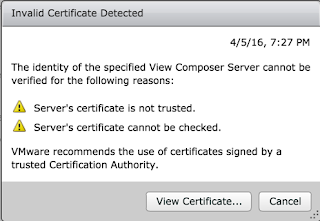 As soon as I seen this I began to think it was something to do with certificates, the error from the VMware side was next to no help whatsoever. 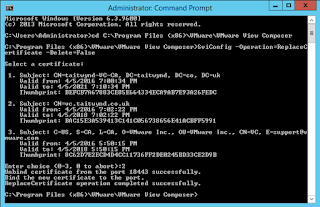 It would make sense as I installed View Composer, and then renamed by vCenter Server/Composer Server when I joined it to the Domain. 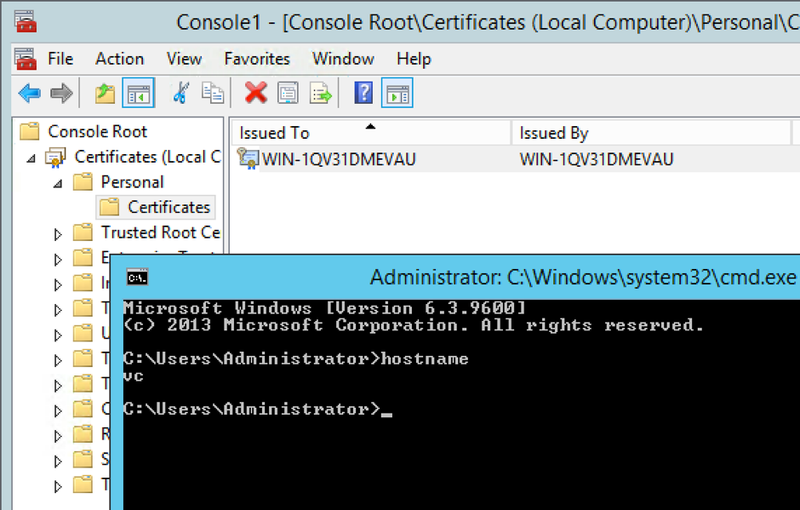 The first stage was to open the Certificates (Local) console and check what VMware View Composer certificate was present. 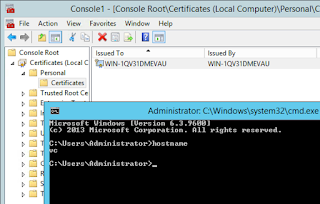 As View Composer was installed before the name change the randomised Windows hostname was present within the View Composer’s certificate Common Name field within the certificate. 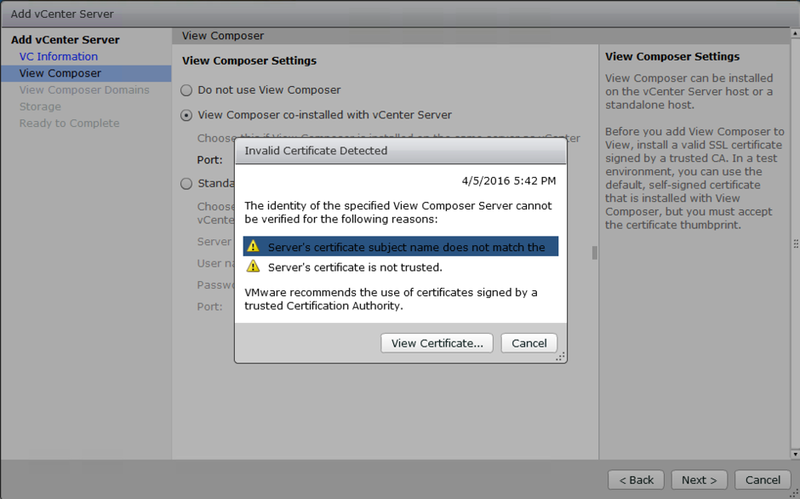 When I was running through the wizard to integrate vCenter and View Composer with the View Connection Server, it also stated that the “Server’s certificate subject name does not match” which all made sense at this point. The first thing I tried was to reinstall the View Composer component, this worked to a degree. It did generate a new certificate but it did not populate the certificates Common Name properly, it defined the Common Name to “VC”, instead of “VC.tatiwynd.co.uk” which was required to get rid of the error above. 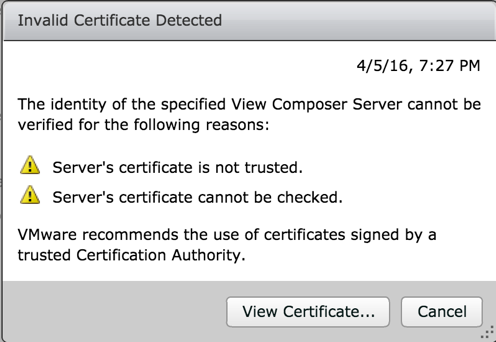 The next step was for me to issue a new certificate to the View Composer server, using the proper Common Name. I did this by using my internal AD CS infrastructure (used Web Server template), and manually populated the Common Name with “VC.tatiwynd.co.uk”. Once this was done and the certificate was present inside the Local Computer’s Certificate store, the next part was to use the VMware SviConfig utility to rebind the View Composer’s certificate. Before you do this, you must stop the View Composer service on the server. 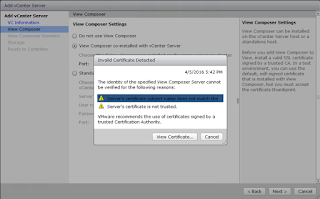 Restart the View Composer service on the server. When you try to run the integration wizard again you will notice that the error message has changed, to something not as dramatic.